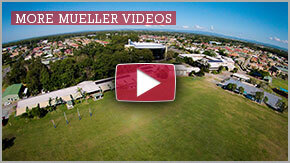 Mueller College Primary provides Christian Education from Prep – Year 6. There’s always something happening at Mueller College Primary, whether it’s academic, sporting, or cultural, the Primary School is a dynamic place to be. Mueller Primary has all the benefits of a large school – quality educators, and extensive resources – yet maintains a small school feel with smaller class sizes, relational teachers and separate play areas for different year levels. The Mueller College aim is “to prepare its students for life in the world and eternity by applying Biblical principles through excellent education in a distinctly Christian environment.” Mueller Primary is distinctly Christian. Distinctly, because our teaching staff have the desire to bring the truth of Jesus Christ alive in the classroom by using the Bible as the foundation on which they teach. We endeavour to pass on the Good News of the Gospel to all of our students. At Mueller College Primary we encourage our students to engage in learning and achieve to a very high standard without compromising values. Our Primary Curriculum meets all the requirements of the Australian Curriculum (Maths, Science, English, History). While all subject have been written to be consistent with the word of God, Christian Studies particularly teaches Godly values and attitudes consistent with those espoused by the National Safe Schools Framework. All students are expected to take part in all aspects of the program provided. 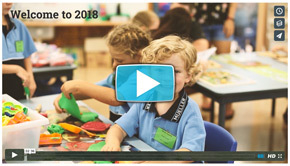 Our Curriculum is designed to provide students with a solid foundation in Numeracy and Literacy while giving students an opportunity to experience a range of learning disciplines. The fact that we offer P-12 Education on the one campus ensures a seamless transition from Primary to Senior School. Numeracy and Literacy coaches work with our students and teachers within the classroom as well as small group workshops to consolidate concepts taught in class. Higher Order Thinkers are challenged in our Infinity Program. Students engage in creative thinking modules to enhance their imaginative, artistic and innovative flair. Every Primary student loves Friday because Friday is Chapel day. Chapel is a lively, engaging approach to worship. There are 2 chapels on a Friday – morning for years 3-6 and afternoon for years prep to 2. Parents and family are more than welcome to come along and join in. Chapel is a time where the student body comes together to collectively celebrate what God has done. It involves singing and dancing, class items, a message, games and quizzes. An offering is collected for various missions that we get involved in throughout the year. There’s always something going on at Primary Chapel! At the very foundation of Mueller Primary is a genuine concern for each and every student. Jesus teaches to “love your neighbours”, at Mueller we work to ensure each student is cared for as we are instructed to. Mueller College Primary participates in the local interschool sport competition. Fielding both competitive sporting teams and afternoon recreational pursuits, all year 4-6 students will find something they enjoy. Mueller has a very good reputation around the peninsula as being a strong force on the sporting field. Not just champions on the field, but good sports off as well. We have strengths in Soccer, AFL and Swimming, but we love to give other sports a go. These may include Roller Blading, Bowling, Tennis coaching, Touch Football, Netball, Softball and lifesaving skills. Our intra school carnivals are also events that showcase our fine athletes. Swimming early in the year, Cross Country in term 2, and Athletics in term 3. The war cries can be heard throughout the neighbouring suburbs. School Spirit is alive and well at Mueller!